With a stay at Tribeca Serviced Apartments Melbourne in East Melbourne, you'll be within a 15-minute walk of Melbourne Cricket Ground and St. Vincent's Hospital. This aparthotel is 1 mi (1.7 km) from Princess Theatre and 1.2 mi (1.9 km) from Her Majesty's Theatre. Make yourself at home in one of the 100 air-conditioned rooms featuring kitchens with refrigerators and ovens. Rooms have private balconies or patios. Cable programming and DVD players are provided for your entertainment, while complimentary wireless Internet access keeps you connected. Conveniences include phones, as well as desks and separate sitting areas. Stop by the aparthotel's restaurant, Tribeca Cafe, for lunch, or grab snacks at the coffee shop/café. Dining options at the aparthotel include a coffee shop/café and a snack bar/deli. Public areas are equipped with complimentary wired and wireless Internet access. 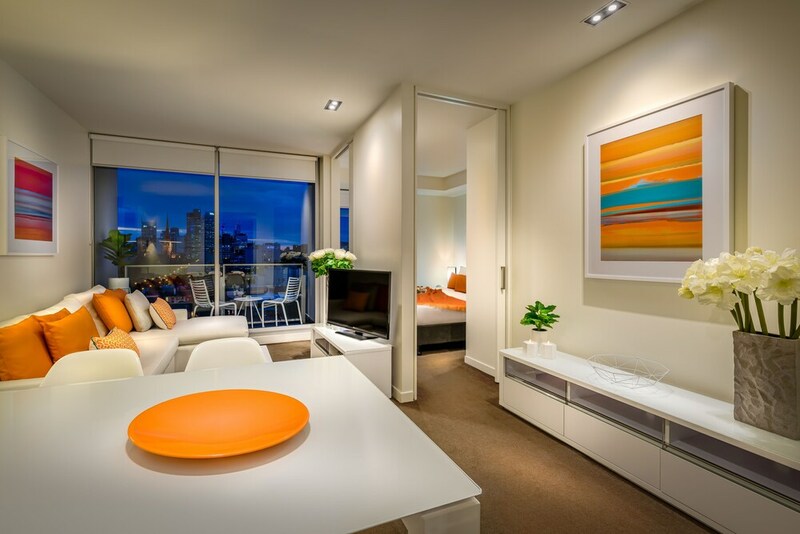 Tribeca Serviced Apartments Melbourne features an outdoor pool and a fitness center. For a surcharge, a roundtrip airport shuttle (available 24 hours) is offered to guests. This business-friendly aparthotel also offers a terrace, tour/ticket assistance, and concierge services. Parking is available onsite for a surcharge. Tribeca Serviced Apartments Melbourne is a smoke-free property. Tribeca Cafe - This restaurant serves breakfast and lunch. Guests can enjoy alfresco dining (weather permitting). Open daily.